BAGUIO CITY – Mayor Mauricio G. Domogan vehemently belied the several negative reports relative to the alleged bad state of the city which were printed and broadcasted in the national media before the Holy Week break, saying that it seems that it is already a usual occurrence that the city is being depicted as a dead city during expected prolonged breaks. The local chief executive said the city has always been a victim of negative publicity through the years but people still flock to the city to spend their desired break because of its cool and unique climate aside from the hospitality of the residents as shown by their warm welcome to the visitors. “We are saddened by the repeated negative reports against the city which were printed and broadcasted in the national media because it seems that it has been always a normal occurrence during prolonged breaks, thus, such negative reports are products of a grand design to ruin the image of the city as a prime tourist destination and indirectly promote other destinations,” Domogan stressed. it is a rapidly developing urban center. 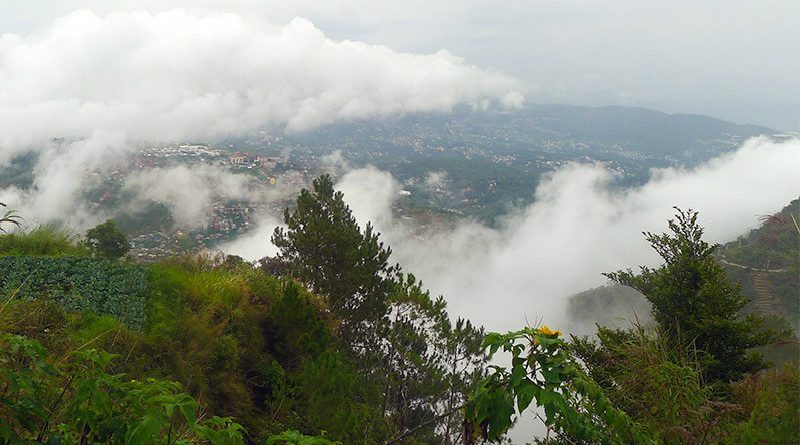 According to him, Baguio City has always been a victim of negative publicity over the past several decades because of the aggressive promotions done by other areas to project their places as alternative tourist destinations in the country but foreign and domestic visitors still make the country’s undisputed Summer Capital as their preferred place where to spend a break during holidays. He explained that the Cordillera office of the Environmental Management Bureau (EMB-CAR) never came out with a derogatory report against the local government and the various business establishments located in the different parts of the city regarding violations on existing environmental laws, rules and regulations that is why there is no concrete basis for outsiders to conclude that there is blatant violation of environmental laws in the city. Domogan asserted residents are vigilant on environmental issues and concerns that is why concerned government agencies and the local government immediately act on problems that are being brought to their attention relative to the efforts to sustain the preservation and protection of the city’s environment because it is the source of its unique and cool weather that serves as a natural pull for people to frequent the city and for them to spend a well-deserved break from the scorching heat of the lowlands, especially during the summer season. He expressed disappointment on why do other areas have to resort to destroying the image of the city in the eyes of tourists just to be able to promote their places as alternative tourist destinations when in fact, the city has its own come on in terms of enticing people to visit their desired destinations during the prolonged breaks. He admitted that the city is now a favourite weekend destination because of the significantly reduced travel time from the lowlands courtesy of the Tarlac-Pangasinan-La Union Expressway (TPLEX) which is about to be completed by the end of the year.